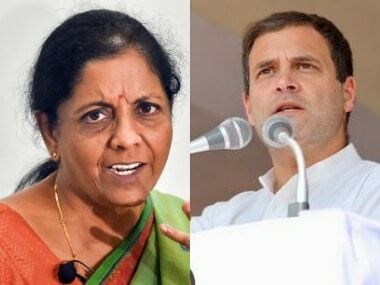 New Delhi: Hitting back at Prime Minister Narendra Modi over his remarks that people have to choose between a majboor (helpless) and a majboot (strong) government in the upcoming general election, the Congress on Saturday said the 2019 Lok Sabha polls would be a fight between dictatorship and democracy. 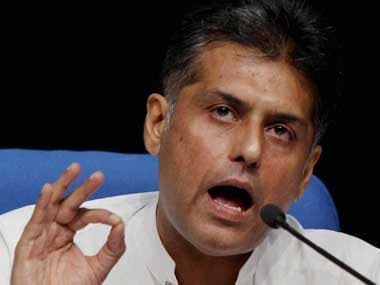 On Modi's attack on states ruled by opposition parties for withdrawing the general consent to the CBI and his remarks that he had not resorted to such a measure when he was targeted by central agencies under the UPA rule, Congress spokesperson Manish Tewari retorted, saying investigating bodies were not used as a political tool under his party's rule to target rivals. Andhra Pradesh, West Bengal and Chhattisgarh have withdrawn the general consent to the Central Bureau of Investigation (CBI) in these states. Tewari said that while Modi spoke on a host of issues during his speech, including launching several attacks on the Congress, he skipped key "achievements" like demonetisation, the employment he had promised to generate and the agrarian distress across the country. "Lok Sabha 2019 will not be a battle between a majboor sarkar and a majboot sarkar, it is a fight between dictatorship and democracy. 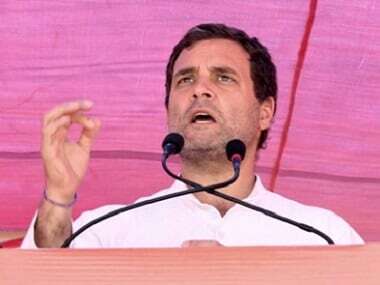 It is a battle between bhaashan (speeches) and prashaasan (administration) and it is going to be a test of 'jumla' versus impeccable track record of service which the Congress has delivered for years," he said. The Congress leader's remarks came in response to Modi's assertion at the Bharatiya Janata Party's (BJP) national convention that the opposition parties were coming together as they wanted to form a majboor government to promote nepotism and corruption, whereas the saffron party wanted a majboot dispensation for all-round development of the country. Tewari accused the government of systematic weakening of the country's institutions. 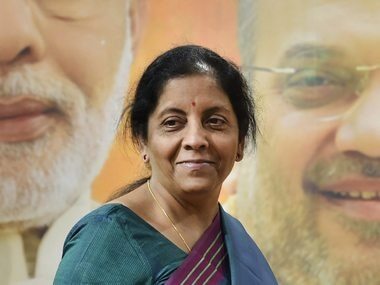 Targeting the government over the state of internal security, he said Defence Minister Nirmala Sitharaman had stated that there was no big terror attack during the BJP rule. "If this was to be true, then what was the Uri attack, where 19 soldiers were killed in a terror strike, and the Pathankot terror strike?" Tewari asked. Both the terror attacks had taken place in 2016. The Congress leader said the situation in the Kashmir Valley was bad and wondered what was the progress of the Naga Peace Accord, signed between the Centre and the Nationalist Socialist Council of Nagaland (Isak-Muivah) in 2015. "What is the government's policy towards Pakistan? Why is it so that our trusted friend Russia has been selling arms to Pakistan? The way American President Donald Trump has been mocking you and India's diplomacy...why is there no response from the government or the BJP?" he asked. Last week, Trump took a jibe at Modi for funding a "library" in Afghanistan, saying it was of no use in the war-torn country, as he criticised India and others for not doing enough for the land-locked nation's security.